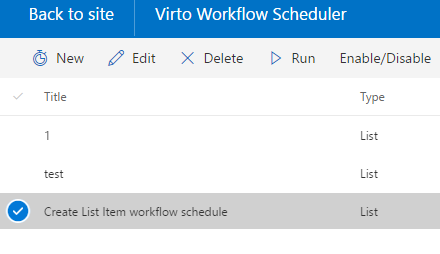 When Virto Workflow Scheduler is installed, go to SharePoint Site Contents and find “Virto Workflow Scheduler” link in apps list. 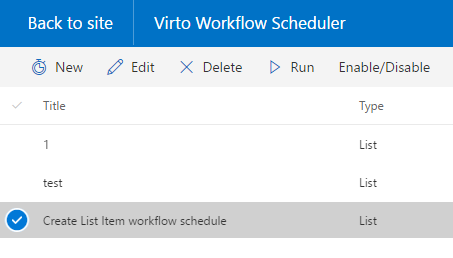 You will be redirected to Virto Workflow Scheduler page, where you can manage your workflows. 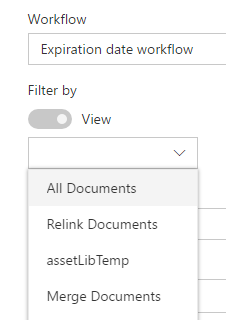 To create a workflow schedule, click “New”. Enter a name for the scheduled workflow. Now select workflow type. It can be list or site workflow. Then specify a workflow from the dropdown. All existing workflows of the site collection will be displayed in the dropdown. If you select list workflow type, you can add additional view filters to define items to process with the workflow. Now you have to select the workflow schedule frequency. You can apply Hourly, Daily, Weekly, or Monthly schedule to run workflow at a particular or on a particular day of the week/month. Then set a time trigger and define on which date and time workflow should start. If you want to disable a workflow schedule, check the box on the right side of its title and click “Disable”. You can edit selected workflows with “Edit” button. 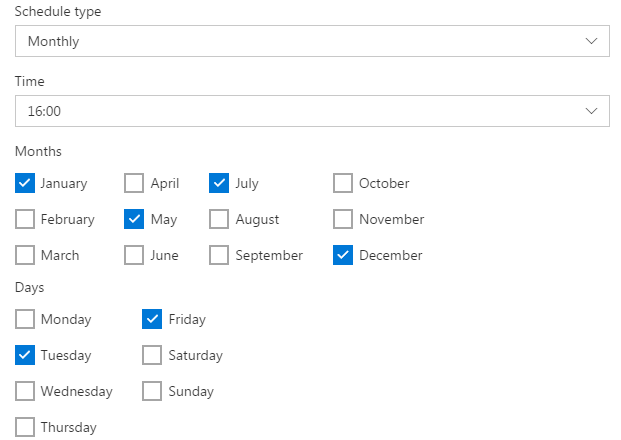 Check the box of required workflows and click “Delete” to delete them. Select a workflow and use “Run” button to start this workflow manually.